Following the sharing session on 26 Jan, here are the most asked questions about racing in Tokyo. We hope you'd find them useful! Which location should I book my accommodation in? You will be provided with a free day pass in your race pack. Do use it on the race day itself. What is a good training build-up to the marathon whilst in Singapore? Build up your aerobics slowly week by week, don't add too much mileage in a shot. Take care of your body and know when to push your body. Since Japan has low humidity, the perceived effort feels lesser than the effort it takes to run in Singapore, so try not to push your body too much to avoid body injuries. Remember that the real marathon starts after the 30km mark, so try to save your energy for the last 10km. What is the best way to acclimatize for the run whilst in Singapore and in Tokyo? It's difficult to do so since the coldest aircon temperature that can be set is 18 degrees celsius. If you really want, you can try to sign up for a half marathon in another cold weather country, such as a winter race in Hong Kong. A few days before the race, it will be good to do a 5km acclimatization run in Tokyo, so that the body can get used to running in a climate that is similar to the actual day's condition. You can do your carbo-loading 2 nights before the race. Eat food that you would normally eat. On the eve of hte marathon, avoid high fibre, dairy, spicy food. Have a heavy lunch and normal/light dinner. Avoid caffeinated drinks so that your sleep will not be interrupted. What gear should I prepare for the marathon? It's recommended that you wear several layers of clothes for the race, such as a t-shirt, arm warmers, running shorts, compression calf guards, and even a blanket. The clothes may even be those that you are willing to discard. As it is the coldest at the starting point, you can slowly shed the clothes that you can discard once your body temperature goes up after you start running. You may consider to bring along an extra pair of shoes that you are already familiar and running in, as a backup in case your preferred running shoes are damaged. Do also bring clean clothes to wear after the marathon, so as to keep warm! How much should I hydrate before and during the race? Everyone's hydration needs is different, but generally you are encouraged to drink POCARI SWEAT a good hour before the race, so that your body has time to process the fluids and hydrate properly. A recommended amount of POCARI SWEAT to drink is around 1-2litres before. 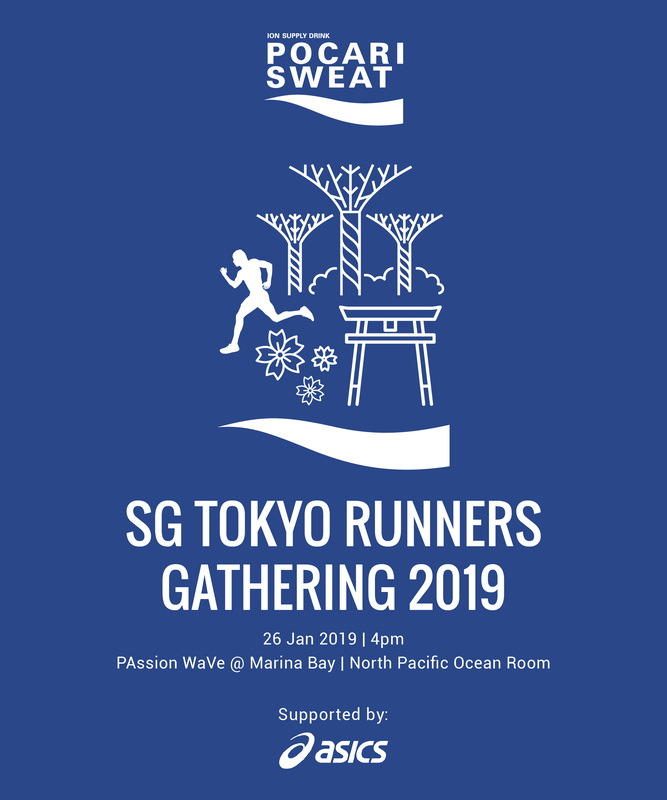 During the race, you will be provided with POCARI SWEAT at regular checkpoints, do drink up even if you do not feel thirsty as you may not be able to tell that you are dehydrated in the the cold climate. What should I do after the race for recovery? After the race, drink ginger/turmeric tea to help reduce inflammation in your body. Try to walk as much as you can to keep your blood flowing which can aid recovery. Drink isotonic drinks to help replace the ions that are lost during the marathon. Generally it's not encouraged that you go for onsens (hot baths) as they will make you further dehydrated. Also, the hot water will dilate blood vessels and may further complicate existing health conditions such as high blood pressure.